South Indian chana dal vada recipe is a crispy deep fried savory made from bengal gram. 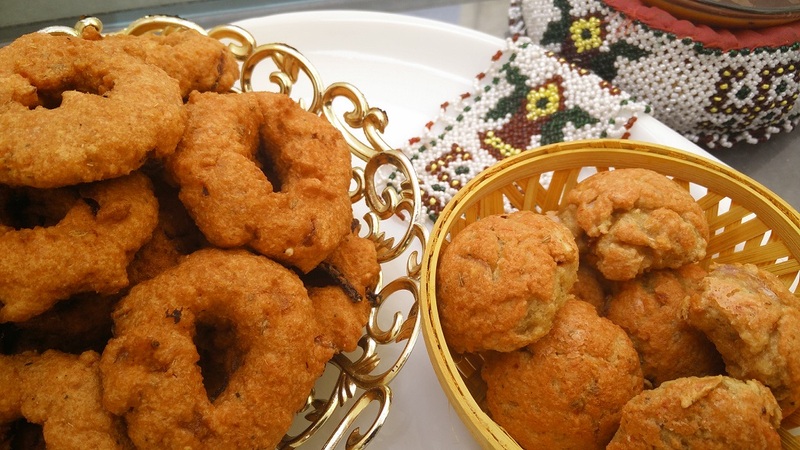 This crunchy and mildly spicy dumplings or vada are very popular in Southern India. Chana dal vada are one of my favorite vada recipe that I remember since childhood days. In Chennai you will find these vada being served by eating joints across streets. Thus its a popular street food recipe in southern India. 1. Soak chana dal for 4 hours and blend it in mixer grinder. Add ginger garlic paste, curry leaves, red chili, fennel seeds, beetroot in jar and prepare a paste. 2. Add rice flour, salt and onions to the dal paste. Make small vadas of the prepared paste and deep fried the vadas till a golden brown colour is achieved. 3. Another healthy options is to make appes using the same paste in a appe pan. Ccover the appe pan and cook for 5 min. 4. Serve hot with coconut chutney or tamarind chutney.